Such a striking combination: BLACK+RED+WHITE. Let me start by saying I freakin’ LOVE these jeans! They are the PERFECT combination of color, comfort and badassery. Seriously, these zippers make me swoon. ♥ I love this red pair of denim so much I had to order them in black too! 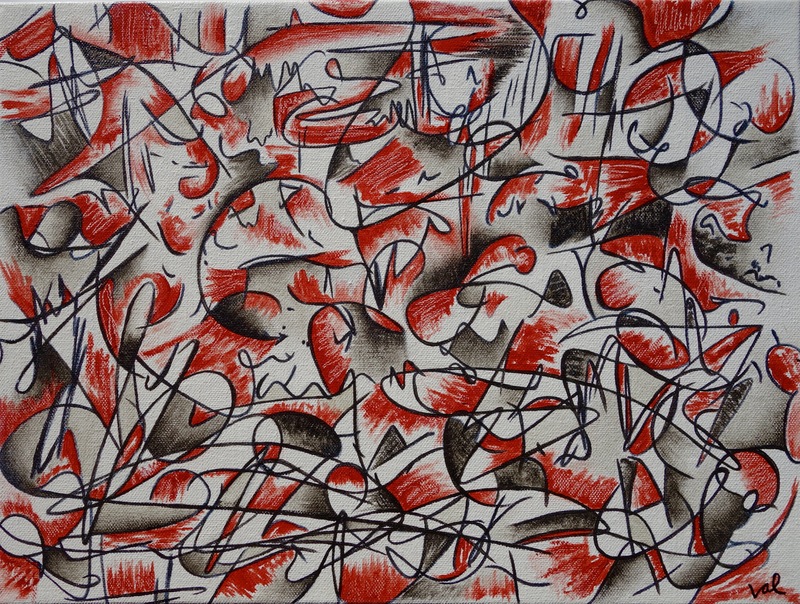 Why BLACK, RED AND WHITE? We all share this crazy, universal human emotional response to color. Most societies recognize these three colors with similar cultural symbolism that often represent light, life and shadow (in a nutshell). Kinda cool. 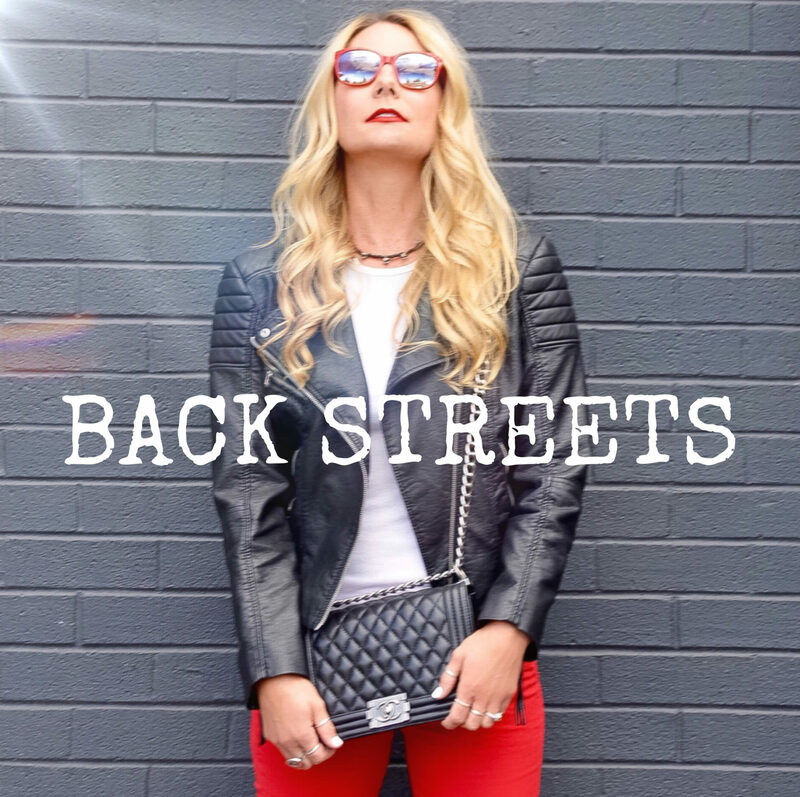 My featured oil painting, aptly titled “Backstreets”, needed an urban, confident street-style look to reflect the raw, almost graffiti vibe of the painting. I paired it with my go-to faux leather h&m biker jacket and found some yummy but gritty urban blight as a backdrop. 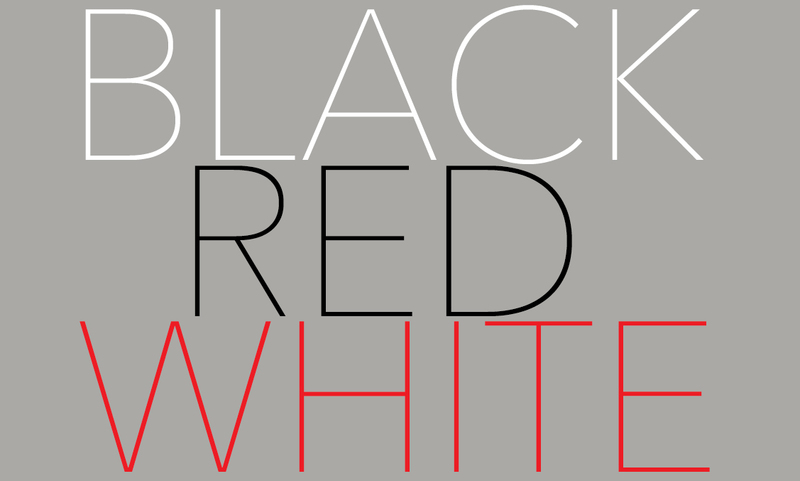 Always a go to peeps: RED+WHITE+BLACK = A seriously powerful color combination!! 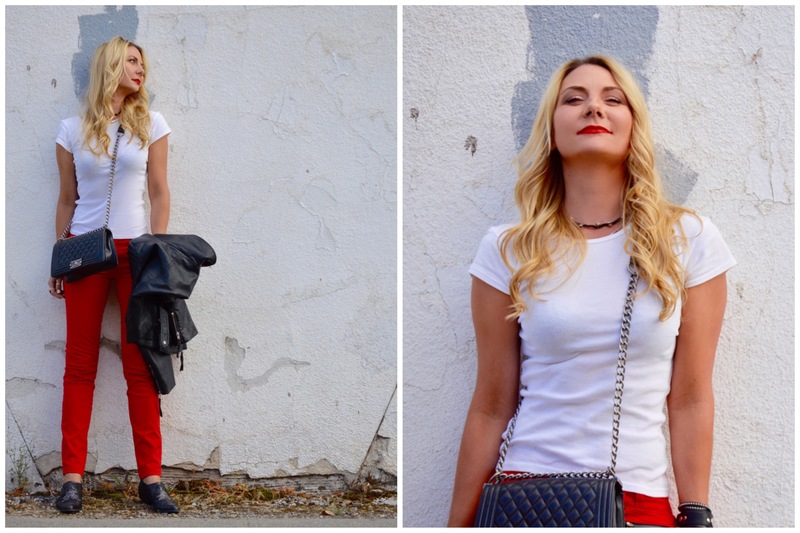 Go put some colored denim on those legs this autumn! It’s fun!! Hey Val — what gives? There’s a professional model all over your blog pages and she looks kinda like you. Better look into it. Haven’t heard of Mos Mosh before! Will check them out!